Donald Trump has already done the seemingly impossible, becoming the first non-politician in decades to capture a major party’s presidential nomination. His how-did-this-happen accomplishment was also achieved in a largely unprecedented manner. No one freaked out over nominations of Mitt Romney in 2012 and John McCain in 2008. This year, however, there are a slew of people who are downright on suicide watch thanks to the The Donald’s antics. What would you get if you took Jon Stewart and stripped him of his likeability and sense of humor? You’d get something like Bill Kristol, editor of The Weekly Standard. 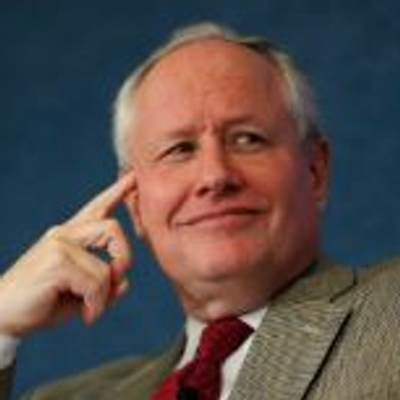 One look at Kristol’s chosen profile pic is enough to identify the man as smug and insufferable. A quick glance at his Twitter feed shows someone so taken with his own self-diagnosed brilliance that he can’t acknowledge that he’s wrong on pretty much everything. And the “jokes”! It’s like dad humor wrung through mom’s filter of passive-aggression. As a proud #NeverTrump Republican, things ain’t looking so hot for Mr. Bill. The two political parties never have the same dynamics when it comes to choosing their nominees. But that simple, obvious fact is still too much for the average political journalist to grasp, which is why 2015 had a slew of articles proclaiming the near-certainty that we’d be seeing a Bush/Clinton contest this year. This then set up the same hacks to churn out pieces decrying political dynasties. Well, it didn’t quite work out that way. Trump not only defeated Jeb, he eviscerated him, accusing the former governor of threatening to pull down his pants to moon people and advising his mother to run in his place. The campaign banner went from Jeb! to Jeb ;_; This “loyal Republican” is sitting out the convention with the rest of his family, which hopefully won’t degenerate into some sort of Heaven’s Gate situation. The new senator from Massachusetts was sure on her high horse the last couple of years. The Democrats invented a new senate leadership position for her, and she is by far one of today’s most popular liberal politicians. Warren is passionate, principled, and probably somewhat autistic—something that works just fine at her native Harvard but doesn’t play so well on television. She’s recently started to repeat Trump’s style of speech (the technical term for when autistics do that is echolalia). His branding her as “goofy” is clearly drawing blood, given her insistence to the contrary. Warren has also taken to calling Trump a xenophobe, the worst of all -phobes in America. Calling someone a xenophobe is a bit like summoning Bloody Mary, only instead of saying it three times in front of a mirror you have to repeat it on Twitter for months before the goal is achieved. This is how we win, right, Liz? To go from highly respected to national laughingstock would be hard for anyone, but it will prove especially difficult for the senate’s biggest nerd. One can only imagine what sort of traumatic bullying flashbacks Trump will be inducing in the coming weeks. It goes without saying that attacking the family members of other candidates is a low blow that’s completely inappropriate and over the line—which is why it was so effective at rattling Ted Cruz’s cage when Donald Trump did just that. Trump branded Cruz a “basket case” as a result. In Cruz’s defense, it must have been somewhat surreal to address the accusation that his father was in any sense involved with the JFK assassination. This campaign saw Senator Cruz go from being an icon of conservative Republicanism to being called “Lucifer in the flesh” and akin to being shot or poisoned—and these were from his congressional colleagues! Never before has any politician been so openly and publicly hated on a personal level by members of his own party. (And here I thought Canadians were known for their affability.) The presidency was Cruz’s lifelong dream. Hopefully he can pick up the pieces and move on. Beck seems to be convinced that a Trump presidency will mean the end of America. If the nation is so dilapidated that one man can knock it over, it doesn’t seem like it was built all that strongly to begin with. Glenn, if Ted Cruz was the answer, you’ve been asking the wrong question. A Trump presidency would be a disaster—but we survived George W. Bush (twice!) and America is still a pretty nifty place.